Kuzey Ege Denizi Gökçeada’da paragat ile 369 mm toplam boya sahip bir adet erkek Aulopus filamentosus bireyi yakalanmıştır. Bu kayıt Türkiye suları için türün kesin lokalite bilgisini içeren yeniden onaylanmış gözlemidir ve türün Ege Denizi için en kuzey dağılımını göstermektedir. A single male specimen of the royal flagfin (Aulopus filamentosus), 369 mm total length was caught with the longline from the Gökçeada Island, north Aegean Sea. This report constitutes the reconfirmed occurrance with gives precise locality information from the Turkish waters and this record reflects northernmost expansion of this species in the Aegean Sea. Akşıray, F. (1954). A key to marine fishes of Turkey. Istanbul University Faculty of Science Hydrobiology Research Institute Publications, Istanbul, Turkey, 277 pp. Akyüz, E. (1957). Observations on the Iskenderun red mullet (Mullus barbatus) and its environment. GFCM Proceedings and Techical Papers, 4(38): 305-326. Al-Hassan, L.A.J. & El-Silini, O.A. (1999). Checklist of bony fishes collected from the Mediterranean coast of Bengazi, Libya. Revista de Biologia Marina y Oceanografía, 34(2): 291-301. Ben Souissi, S.J., Ben Amor, M.M. & Capape, C. (2010). Confirmed occurrance of the royal flagfish, Aulopus filamentosus (Osteichthyes: Aulopidae) in Tunisian waters. Pan-American Journal of Aquatic Sciences, 5(1): 157-161. Cengiz, Ö., İşmen, A., Özekinci, U. & Öztekin, A. (2011). An Investigation on Fish Fauna of Saros Bay (Northern Aegean Sea). AKU-J. Sci., 11(011003): 31-37. Costa, F. (1991). Atlante dei pesci dei mari italiani. Gruppo Ugo Mursia Editore S.p.A. Milano, Italy. 438 p.
Dulcic, J. (2006). On the record of he royal flagfin, Aulopus filamentosus (Pisces: Aulopidae), from the Adriatic Sea. Annales, series Historia Naturalis, 16(2): 189-192. El Sayed, R.S. (1994). Check-list of Egyptian Mediterranean fishes. Institute of Oceanography and Fisheries. Alexandria, Egypt: ix + 77 pp. Faber, G.L. (1883). The fisheries of the Adriatic and the fish thereof. A Reprt of the Austro – Hungarian sea – fisheries, with a detailed description of the Marine Fauna of the Adriativ Gulf. B. Quatrich, London, 178 pp. Fischer, W., Bauchot, M.L. & Schneider, M. (1987). Fiches FAO dίidentification des espèces pour les besoins de la pêche. Mèditerranèe et mer Noire. Zone de pêche 37. FAO and EEC, Rome, 761-1530. Geldiay, R. (1969). Important fishes found in the Bay of İzmir and their possible invasions. Ege University Faculty of Science Monographies, Izmir, Turkey, 135 pp. (In Turkish). İşmen, A., Yığın, Ç. & Çakır, F. (2006). A new fish species for the Northern Aegean Sea Fauna; Aulopus filamentosus (Bloch, 1792). E.U. Journal of Fisheries&Aquatic Sciences, 23, Supp.1/1: 95-97. Mater, S. & Meriç, N. (1996). Marine fishes. In: Kence A, Bilgin CC (Eds), Turkey Vertebrata Species List, Nurol Press A.S., Ankara, 129-172. [in Turkish]. Mater, S. & Bilecenoğlu, M. (1999). Marine fishes of Turkey. In: Demirsoy, A. (Ed), General Zoogeography and Zoogeography of Turkey [in Turkish], Meteksan Press, Ankara, 790-808. Mater, S., Kaya, M. & Bilecenoğlu, M. (2009). 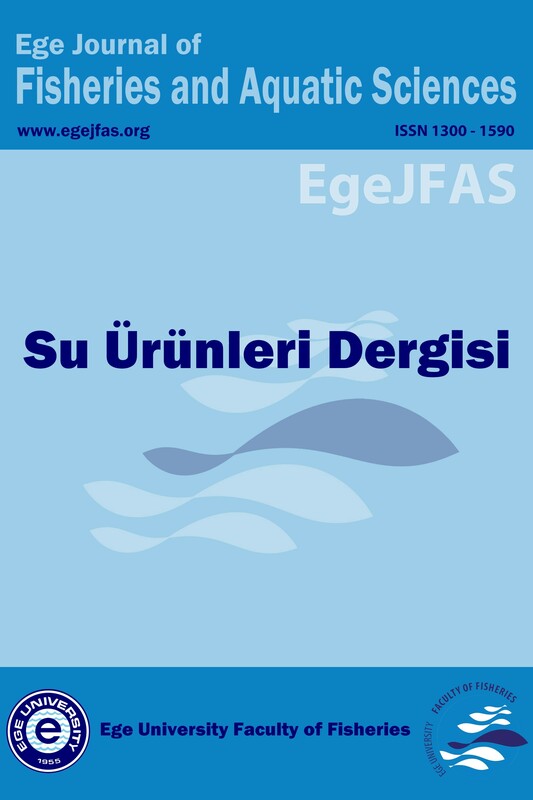 Marine fishes of Turkey (4th edn), Ege University Fisheries Faculty Publishings, İzmir, No. 68. (In Turkish). Papaconstantinou, C. (2014). Fauna Graeciae. An updated checklist of the fishes in the Hellenic Seas. Monographs on Marine Sciences, 7, Athens 2014, HCMR, 340 p.
Robins, C.R., Bailey, R.M., Bond, C.E., Brooker, J.R., Lachner, E.A., Lea, R.N. & Scott, W.B. (1991). Common and scientific names of fishes from the United States and Canada. Am. Fish. Soc. Spec. Pub., 20: 183 p.
Sanches, J.G. (1991). Catálogo dos principais peixes marinhos da República de Guiné-Bissau. Publ. Avuls. Inst. Nac. Invest. Pescas, 16: 429 p.
Sulak, K.J. (1990). Aulopidae. p. 349-350. In Quero J.C., Hureau J.C., Karrer C., Post A., Saldanha L. (eds.) Check-list of the fishes of the eastern tropical Atlantic (CLOFETA). JNICT, Lisbon; SEI, Paris; and UNESCO, Paris. Vol. 1. Whitehead, P.J.P., Bauchot, M.L., Hureu, J.C., Nielsen, J. & Tortonese, E. (eds) (1984-1986). Fishes of the North-eastern Atlantic and the Mediterranean, UNESCO, Paris, 1473 pp.